"Torr" has found his new home!
" XTOR von Schraderhaus "
ball drive and protection qualities. home as well as for IPO and Police work. mother is Border Patrol Czech working lines. and would excel in tracking /scent work. demonstrating an extraordinary natural ability and interest in using her nose. 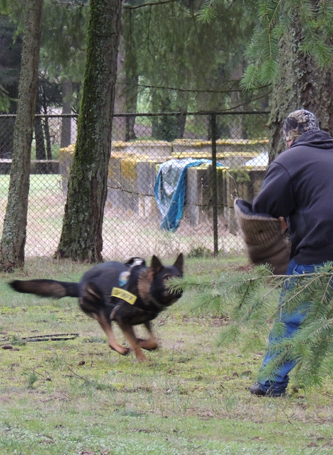 and narcotics scent work training. what's going on around her. "off leash Dog Park" kind of dog ! Cuvara is NOT an offleash Dog Park kind of dog ! 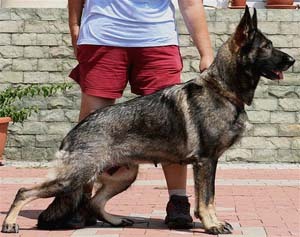 and is tolerant of male dogs. .
V Rated SCH 3 " Ivo von Hauental "
and is nicely motivated to work. 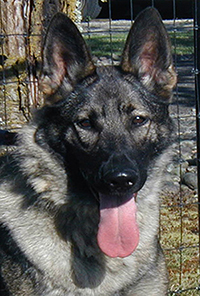 She has demonstrated extraordinary natural ability and interest in herding and in just 4 weeks time was entered in a recognized herding trial and earned her PT Title. 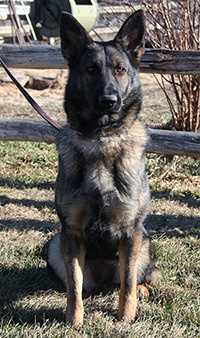 Cuvara is Fully housebroken, crate trained, and is UP to DATE on all vaccinations and wormings. would provide excellent home protection for a single person or family. and is tolerant of male dogs. Leyna is a well tempered, naturally very sweet female. She has a nice body type, and is medium large in build. 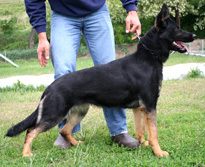 Has plenty of drive, and is started in obedience work, considered green at this time. She learns quickly so would come around nicely in Obedience with consistency and time. 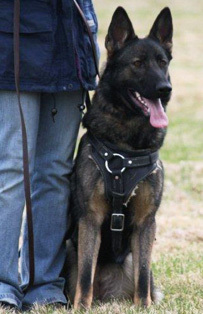 Started in K9 nosework odor detection and did well. . She has great nose for scent work, She has very impressive bark to alert you to intruders, and will deter those unwanted entries from occurring. . Leyna is good candidate for a home personal protection dog and companion. She would make an excellent home protection dog for a single woman or family. 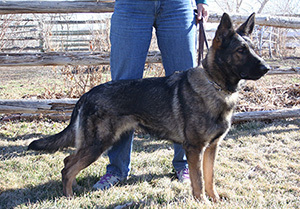 She gets along with other dogs, males or females, provided they don't start something first. A fenced yard is a requirement. 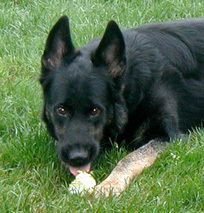 She is an active dog so will require room to exercise on a daily basis. Big Congratulations to Tim S of NE. on his purchase of this excellent working female. Lena is a well tempered, naturally very sweet female. She possesses great personality and never ending working drives. 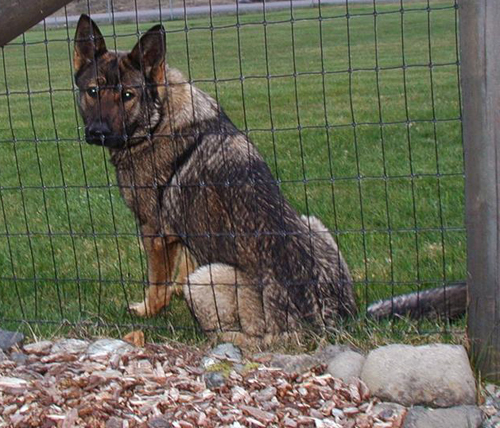 Lena is good candidate as active personal protection dog and companion. Lena has great nose for scent work, in tracking she is just finishing off her articles and tracks about 600 paces. She has been introduced to grass, alfalfa, and dirt. 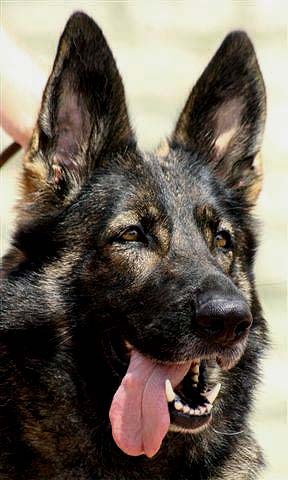 She can do areal searches for bark and hold, we did not switch her to an active bite as we were focused on IPO training. She has very impressive bark and hold, works in about 70% defense but her prey drive has been really taking off as she has matured. She is excellent in new environments. She can trial anywhere, she is not a dog that will do well only on a home field. She can handle strong helpers and even soft helpers. She has good bite, good speed, is athletic and has a BH routine. We just started her on retrieves and jumps. She is good on all 6 blinds. Lena is an excellent female for IPO enthusiast. 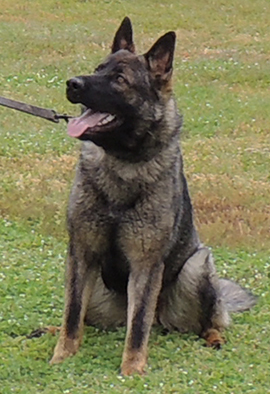 She needs a handler who understand that she is very strong and looks for fight in protection. She outs clean and has a call out off the blind. She has nice control work in her protection and she has been trained in Slovak language. Lena has her BH and she is nearly IPO ready. She has running down command, stand was not practiced yet. She is fast in her OB upbeat and focused. Works for tug and a ball. 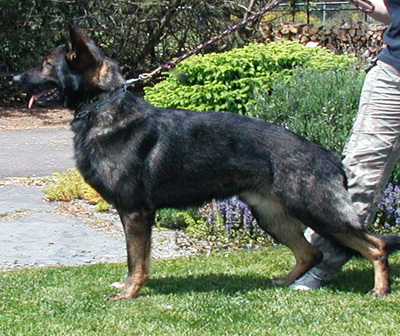 She would make an excellent personal protection dog for a single woman or family. She will bite suit, hidden and would do muzzle if it was introduced to her. Lena is suited for any venue, including herding. She gets along with any dogs, males or females, my cat, even my chickens and ducks are safe with her. She is playful with dogs. 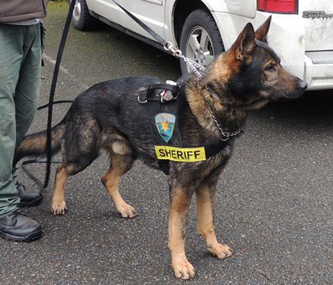 Trainer for Kitsap Co Police Dept. in our Schraderhaus breeding program. for the State of Washington. @ 2.5 yrs of age.
" 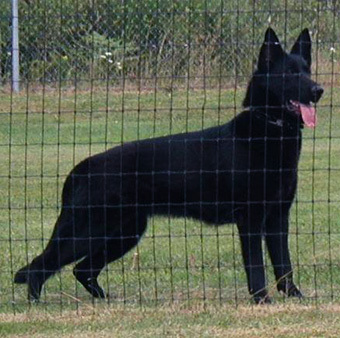 WolfGang von Schraderhaus "
sheep herding dog, protection dog for family. 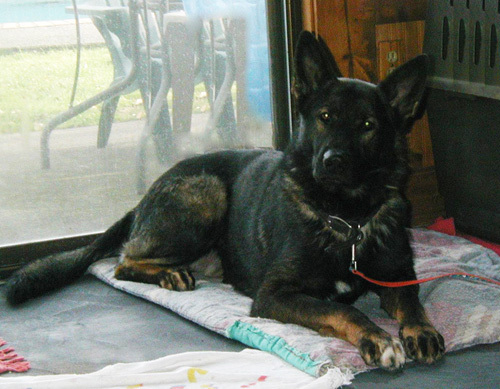 His litter brother is a working SAR Dog in Oregon. 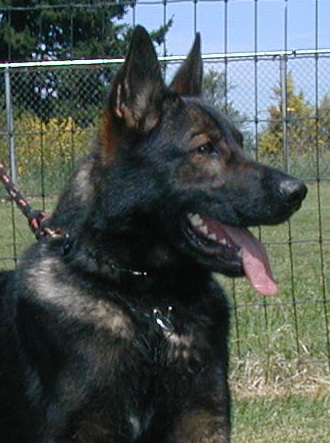 His temperament is superb, and he would also serve well as a good pet/ companion dog. and lived both inside the home as well as outside. and possesses good protection/defensive skills. He has good prey and ball drives. 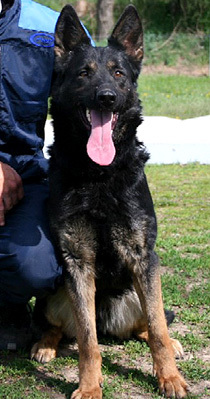 Háry is a serious female, and very loyal to her family. She bonds quickly with the woman of the house, and will be an excellent deterrent against unwanted advances during walks and hikes, etc. 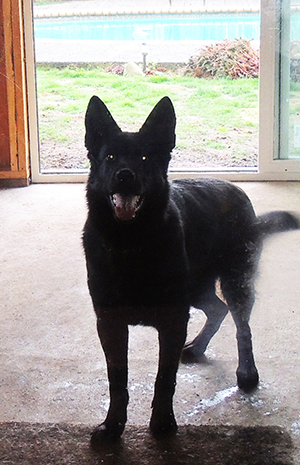 She is very effective in preventing break-ins within the home and surrounding property when given the area to patrol.. She alerts strongly, aggressively, and unmistakably to unwanted strangers lurking about. She is a very clean dog, and is well mannered in the house. She loves to go in the car and travels well in a crate. Háry is NOT an "off leash dog park" kind of dog. 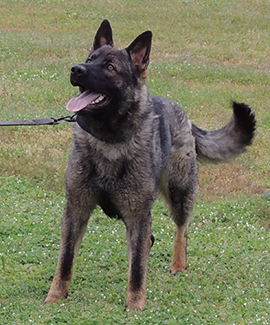 Best suited for someone knowledgeable about the working German Shepherd dog's drives and temperament, Hary is not a handler hard female and is well mannered for a knowledgeable dog person, woman or man, to handle. Non Aggressive, Agreeable male dogs are OK.
please email me with your name and information. There is a nominal *adoption fee for these dogs. the dog will receive nutritious food, a warm home in which to live, and a wonderful family life forever. Please send your name along with brief details of your home and circumstances you offer here. for sale on our site. unless it specifically states in the ad that we are representing the dog. will bond closely with her new owner..
yet also not submissive to them. She gets along well with male dogs.